Sloppy Joes Recipe - Recipes That Crock! Do you need to make a sloppy joes recipe for a crowd. This is our go to foolproof crock pot recipe for sloppy joes. Perfect homemade sloppy joe sandwiches every time. We love Sloppy Joes! This crock pot Sloppy Joes Recipe is perfect for great sandwiches or even on hot dogs. 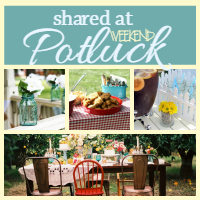 We found it in Gooseberry Patch’s Everyday Slow Cooker. Everyone loves the homemade flavor of these slow cooked sloppy joes and they couldn’t be easier to make! Simple ingredients that come together to form a simply fantastic sandwich. 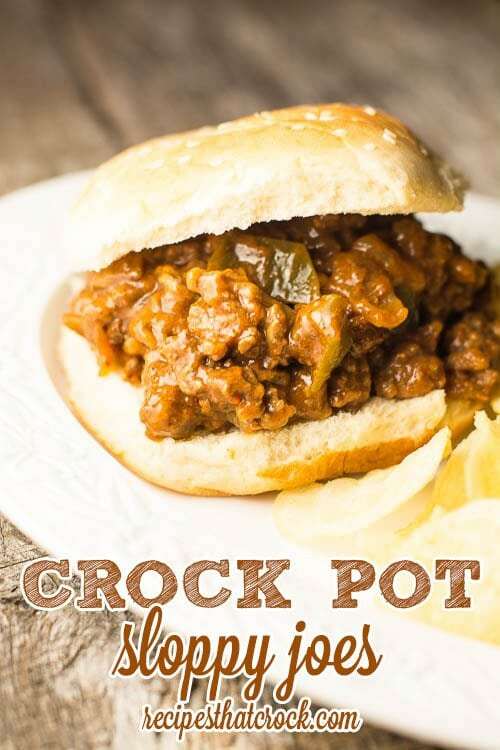 This is our go to foolproof crock pot recipe for sloppy joes. Perfect homemade sloppy joe sandwiches every time. Adapted from Gooseberry Patch's Everyday Slow Cooker. Brown beef, onion and garlic. Reader Suggestion: If you desire a thicker sauce, add a little corn starch at the end of cooking time to thicken. I love the non-stick surface of this slow cooker for recipes like this, however, any 5-6qt slow cooker will work just fine. If you are thinking about a new slow cooker, I recently purchased an all-in-one slow cooker that has a browning setting to allow you to brown your ground beef, onion and garlic IN the crock pot. I have to tell you I think I am in love. It was SO nice and would be a perfect gift for a college student or someone who may not always have access to a full kitchen. LOVE it! We didn’t really notice it being too liquidy, but that could be the difference between slow cooking it and cooking it on the stove. Or, it could simply be a matter of taste. Regardless, so glad you enjoyed it and knew to thicken it up to make it fit your taste. And, I totally agree that it is even better on the second day! I made this for dinner tonight but did not slow cook it. I made it on the stove. First of all, this is just delicious!! I used 4 pounds of hamburger instead of the three, but followed the rest of the recipe as written. What is missing in your directions is that this turned out liquidy. I had to add cornstartch to thicken it up. It came out great that way. Please add in your directions to thicken the sauce when ready to serve. I will slow cook it next time and do this. Otherwise this is a very good recipe. I had leftovers today for lunch and it tasted even better.